TY KU Sake Black, Silver and Coconut Nigori are brewed in the historical sake heartland of Nara, Japan in the famed Umenoyado brewery. The brewers here are proud artisans of traditional sake making. TY KU selected this brewery after visiting countless others in Japan and around the world. This brewery's commitment to the time intensive, meticulous craftsmanship required for premium sake is what ultimately impressed TY KU. 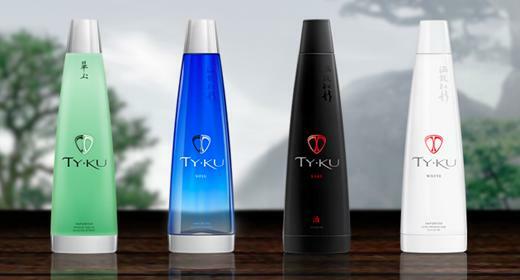 Likewise, the brewery is proud to be central to TY KU's mission to make premium Japanese sake accessible and adored by a broader range of consumers. The Nara brewery is truly focused on the highest grades of sake. To that end, the sake made here is crafted from rice polished an average of 53%, resulting in premium sake, as opposed to the Japanese national average of 69%, which results in lower grade sake. But despite this highly refined rice, these brewers do not shy away from robust flavor. In their own words, "We strive to make a sake rich with flavor, a sake to leave a profound impression."